This is the Final Chorus column as it ran in the April 2019 print edition. Click on the name or image to be taken to the longer obituary as it originally ran online. James Dapogny, who led the Chicago Jazz Band since 1976 died in the early morning hours of March 6th, 2019 after a long battle with cancer. He was 78. While growing up in the Chicago area he met and sometimes played with musicians from the first two great generations of Chicago Jazz, among them Muggsy Spanier, Jimmy McPartland, Mike McKendrick, Bud Freeman, Eddie Condon, and Gene Krupa. He was a pianist, composer, arranger, musicologist, and multi-instrumentalist. He began teaching music courses at the University of Michigan in 1966. He was an expert on Jelly Roll Morton and the premier interpreter of his music. He wrote the liner notes for the release of the Jelly Roll Morton Library of Congress Recordings and released a solo piano album of Morton’s music on Smithsonian Folkways. As a writer he contributed chapters on ragtime, early New Orleans jazz, and Chicago jazz to the Smithsonian History of Jazz. He was also editor of the Jazz Masterworks Editions, a collaboration between Oberlin College and the Smithsonian Institution. The Chicago Jazz Band in addition to recording several albums appeared on Sippie Wallace’s comeback album in the mid-’80s. They also appeared with the Chenille Sisters and were frequent guests on A Prairie Home Companion. Their performances at traditional jazz festivals were noteworthy for Dapogny’s excellent arrangements and the depth he brought to the material. 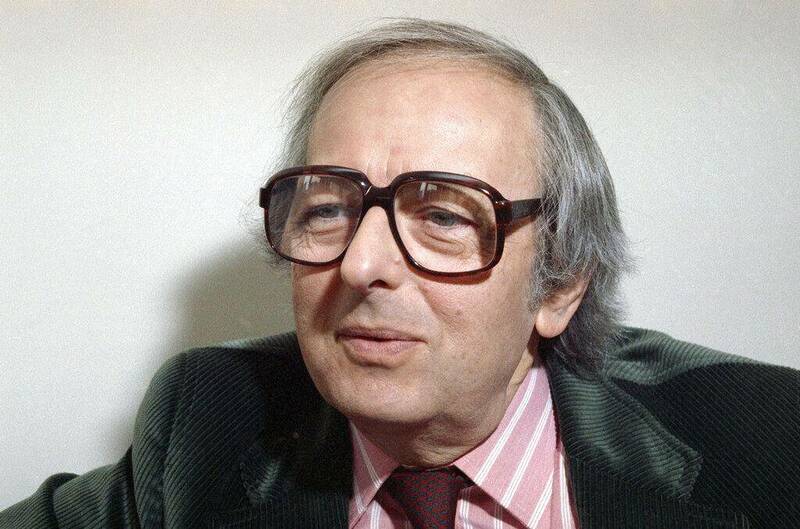 André Previn, a musical polymath, died February 28th in Manhattan, he was 89. He was a composer of film music, conductor, pianist and the music director for several notable orchestras. His family fled Germany in 1938, eventually settling in Hollywood where Previn was quickly recognized as a gifted musical improviser. Working with scores he straddled the worlds of Classical and Jazz. He released an album of jazz arrangements for material from My Fair Lady and later served as music supervisor for the film version of the production. He recorded with Benny Carter, Mahalia Jackson, Dinah Shore, Julie Andrews, and Andre Kostelanetz with whom he made a production of Rhapsody and Blue. He composed chamber music, concertos, and operas, including an original setting for Tennessee Williams’ A Streetcar Named Desire. He was music director of the Houston and Pittsburgh Symphonies, the Los Angeles Philharmonic, and conducted the London Symphony and Royal Philharmonic Orchestras. He won four Oscars; for Gigi, Porgy and Bess, Irma La Douce, and My Fair Lady, 10 Grammys, and was honored by the Kennedy Center. Famous as a Hollywood lothario, even as a teenager, he married five times; to jazz singer Betty Bennett, singer-songwriter Dory Previn, actress Mia Farrow, Heather Sneddon, and violinist Anne-Sophie Mutter. She was born in a rowhouse in Baltimore to a conservative family that forbade jazz and blues, but she went on to turn a national spotlight on the city’s potential as a music destination. At 15 she was working as a pianist in a jazz octet, playing at the Oddfellows Hall, when a guest convinced her to sing “In The Dark” and her vocal talent was discovered. In the early 50s, she sang jazz and R&B hits at rough clubs around Baltimore but also recorded an album on Jubilee records that caught the ear of Billie Holiday. Then in 1958, she was picked up by Benny Goodman for a European tour that landed her an RCA Victor recording contract. Rather than pursue the national fame many saw within her grasp, she chose to stay in Baltimore and work with jazz greats as they passed through. She received national press for her rendition of the Star Spangled Banner at Richard Nixon’s second inauguration. In the ’80s she owned a jazz club, Ethel’s Place, that hosted numerous national artists. Her career was revived in the ’90s when she produced a self-titled record that reached the Jazz Top 40, followed by another album on the Savoy label, If Women Ruled the World, and a final live album in 2005. Next Russ Phillips: ‘Retired?’ What’s That About?